Just in tune for this time of year, December’s prompt will require you to, first of all, think about a Holiday you think could be celebrated in the wizarding world. Any kind of festivity will do, celebrated at any time of the year. Once you have think about your new holiday, please design a HOLIDAY CARD to portray that festivity you created! Graphic shows a pillar candle with its wick alight. The background is very dark. The bright white flame of the candle glows into the dark background and radiates into the candle itself, causing it to glow. 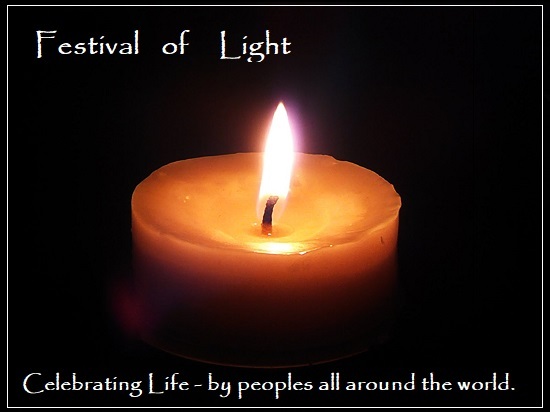 Words above the candle and flame "Festival of Light". Words below the candle and flame "Celebrating Life - by peoples all around the world." Last edited by Prof. Gustavo Flores on Thu Jan 04, 2018 1:10 am, edited 1 time in total. 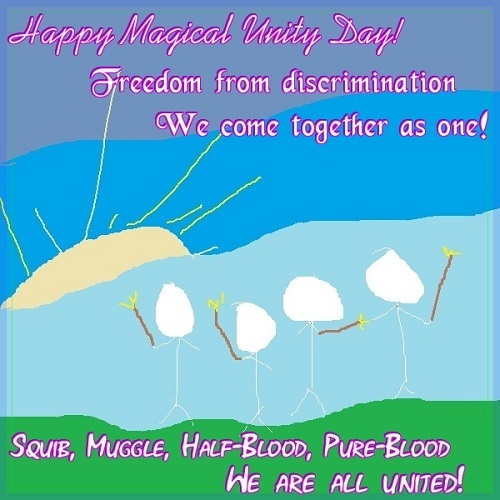 Text says: Happy Magical Unity Day! Freedom from discrimination, we come together as one! Squib, muggle, half-blood, pure-blood. We are all united! Background is a sky with four lovely stick figures standing on grass with wands held up to the sky, all lit with lumos. They are standing close together as a sun comes up over the horizon. Last edited by Prof. Gustavo Flores on Thu Jan 04, 2018 1:11 am, edited 1 time in total. This is a card for Christmas absolutely but celebrated like wizards and witches do it. Christmas is not called Christmas. but Wand day. Last edited by Prof. Gustavo Flores on Sat Jul 07, 2018 5:14 pm, edited 1 time in total. Image shows light turquoise card, surrounded by dark turquoise border. The light turquoise part has small, different types of wands on its background, turned diagonally. 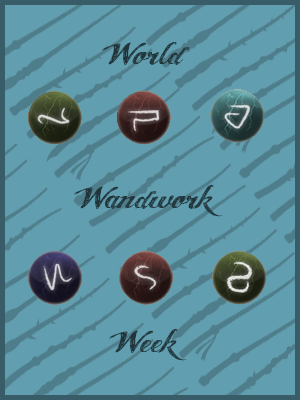 The words on it are World Wandwork Week with three spell's wandwork shapes between words 'world' and 'wandwork' and then three more between words 'wandwork' and 'week'. Words are dark blue. This holiday card celebrates World Wandwork Week, since discipline in handling a wand is of great importance, so young children do not end up with buffalo on the chest, vomiting slugs or losing a buttock.